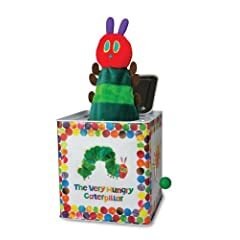 I pulled together this selection of the best jack in the box toys for kids or collectors of all ages. Regardless whether you love clowns, monkeys, animals, nursery rhymes there is one for you and it will bring back childhood memories. And toddlers will have hours of fun as they play with the crank before out pops the a favorite character to the accompaniment of music. 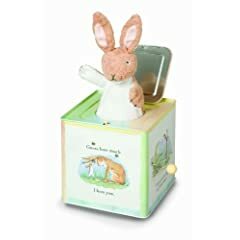 These make an excellent gift that any child or grandchild will adore, so take a look at our selection of jack in a boxes. 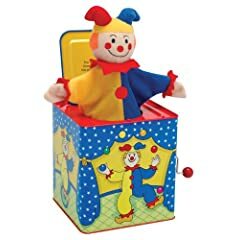 The Schylling Clown Jack in the Box is one of the most popular available as you enjoy the music as the clown simply pops out of the box. 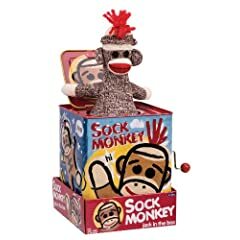 The only thing more fun than a barrel of monkeys is a jack in the box with a funny looking monkey including some great models featuring Sock Monkey and Curious George. 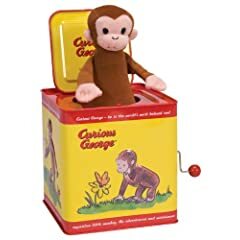 Then too your kids well get excited as they crank the toy and an animal jumps out of the box. Check out these traditional toys below.